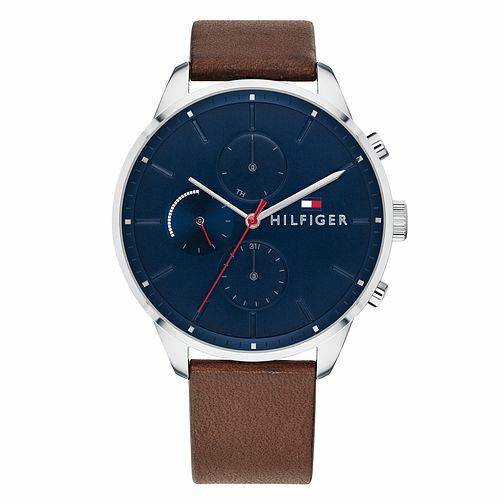 This casual men's watch by Tommy Hilfiger features a black leather strap and a 44mm case with a navy multi eye dial. The dial is complete with day and date indicators and the signature Tommy flag logo. it is water resistant to 5 ATM and comes with a 2 year international warranty. 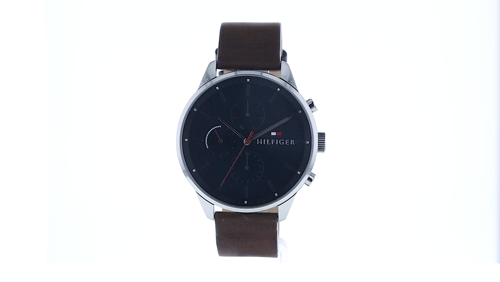 Tommy Hilfiger Men's Brown Leather Strap Watch is rated 5.0 out of 5 by 1. Rated 5 out of 5 by Anonymous from Great watch Looks exactly as pictured. Bought as a wedding gift for my partner so he hasnt seen it yet but I know he will love it.